By Sep from Sainte Genevieve, Mo. 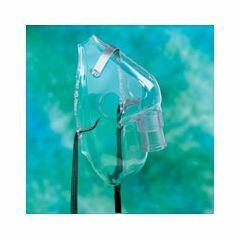 Disposable Aerosol Masks Can be used with most hand-held nebulizers for aerosol therapy. Adjustable nose clip for comfort fit. Good Value. Easy To Use. Lightweight. Effective. Elderly man with Parkinson's Disease who can't hold the mouthpiece that came with the nebulizer in his mouth. Mask is soft and flexible, making it more comfortable. Good Value. Easy To Use. Lightweight. Effective. Affordable. It is an excellent and easy to use product.